Such a behaviour alerts administrators, thinking that something is wrong with the deployed applications or OSB services. Looking in the Oracle documentation one can find the information that this is behaviour by design and that it can be ignored. To verify the OSB proxy service’s database adapter as the source for this the proxy service has to be simply disabled in OSB console. Doing so makes the stuck threads disappear. The behaviour seems strange at the – so why this? 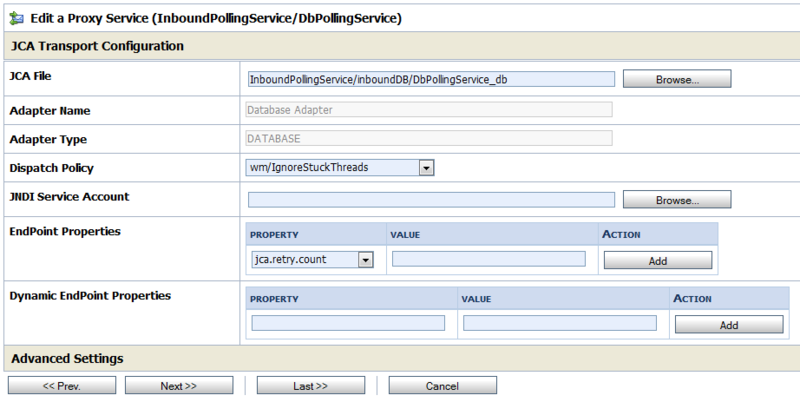 When defining an inbound database adapter, Weblogic threads are used to perform the polling on events occurring in the defined database. Because OSB is designed to deliver high performance and throughput, a number of threads, which depends on the numberOfThreads property in the adapter’s JCA file, is exclusively reserved for the database adapter to perform the inbound polling. Such reserved threads will, due to performance reasons, never be released and never be returned to the corresponding thread pool. 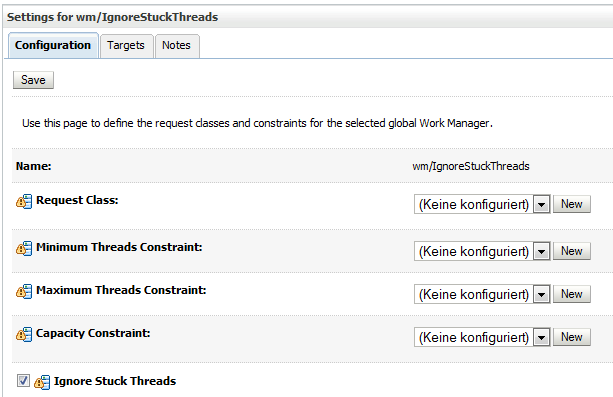 After the configured thread timeout, which is by default about 600 seconds, the stuck thread behaviour occurs. Although this is the default behaviour, it is really confusing and could lead into serious problems, if real threading problems occur in deployed applications/services that are not caused by the adapter threads and which will not be noticed and handled in time. So what can be done to get rid of the stuck adapter threads? Afterwards the stuck threads behaviour caused the OSB proxy service or by its configured inbound database adapter should not show up again. I am dealing with the same issue, but in my case i am unable to poll the records, can you help me with this? what is your concrete use case? Have you checked your configuration regarding completeness and validity? Can you see any exceptions in your logs?